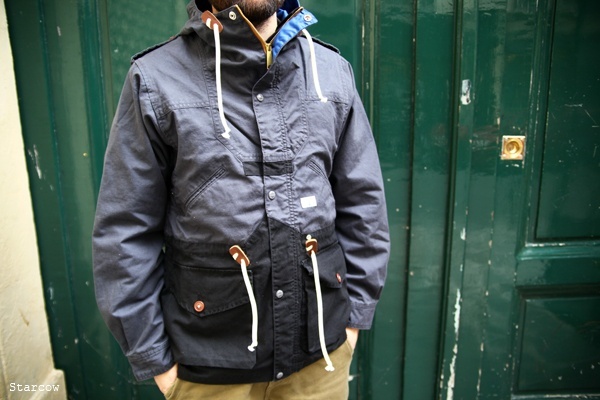 The Garbstore has released a totally wearable everyday line for this spring / summer 2010, kindly documented by Starcow. Drawing inspiration from the service industries facilitated by British colonialism, the collection entitled ‘The East Empire Service Company’ offers a series of casual, lightweight pieces including jackets and stylish grandpa sweaters perfectly suited for the inconsistencies of winter / spring transition weather are defined through the small, memorable details like the two-tone color schemes, the spacey pockets, clasps, and eye-catching jacket interiors. Get a glimpse of Garbstore’s SS10 nifty illustrated lookbook, modeled by The Mighty Low, here.